Literate, jangly rock with a melancholy disposition. The album is a bit monochromatic though, and seems almost like one slowly metamorphosing song. Willie Nelson’s albums for RCA tend to be maligned, as he was catering to the Nashville system and so often those recordings were leaden with sappy string treatments, overbearing backing vocalists, and gaudy steel guitar. Some fans note that 1971’s Yesterday’s Wine broke the mold. But the changes go deeper than that one effort. In late December of 1970 Nelson’s home Ridgetop in Tennessee caught fire, forcing him (and members of his band and entourage) to relocate to the abandoned Lost Valley Ranch in Bandera, Texas for a while. The move gave him a respite from the pressured atmosphere of the Nashville area, and renewed his ties to his home state of Texas. Life on the ranch was something of a subsistence, communal one. Together with Nelson’s interest in certain rock phenomena, like the Woodstock and Atlanta Pop festivals, this introduced elements of a liberal rock aesthetic. Or perhaps they just stirred up things that had circulated in Nelson’s band from tours to places like San Fransisco in the 1960s, when they took to wearing flamboyant costumes. After returning to his refurbished Ridgetop home in fall 1971, Nelson recorded his final RCA sessions. Among those were preliminary takes of material that would be rerecorded later for Phases and Stages on Atlantic Records. Although superficially Nelson was back in the Nashville fold, it’s clear that his music was different. The recordings on The Willie Way demonstrate the changes. A harpsichord on “Home Is Where You’re Happy” lends, just slightly, the flavor of psychedelic rock or mod British Invasion pop. There is a bit of that influence on the reading of the Appalachian folk classic “Mountain Dew” here too. A lot of listeners skip right past much of the RCA years, at least after Yesterday’s Wine, to Willie’s efforts on the fledgling country department of New York-based Atlantic. That is a mistake — forgivable though given the lack of promotion and limited pressings of the albums of this era. 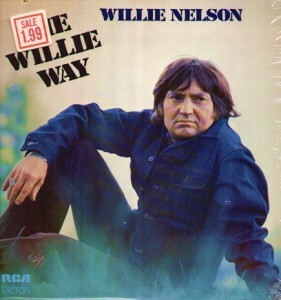 The two albums RCA released from from Nelson’s last six sessions in 1971 or 1972 The Words Don’t Fit the Picture and The Willie Way are perhaps his very best from his entire decade-long tenure on RCA. They balance the conventions of Nashville with inklings of forward-looking rock influences. By this time Willie knew the Nashville approach and was actually getting pretty adept at playing that game, even in an offhand way. 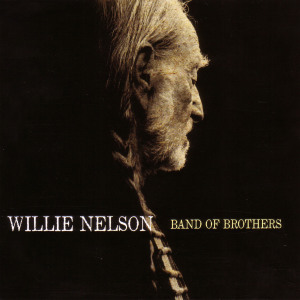 Willie also was actually writing some good songs, like the opener “You Left a Long, Long Time Ago.” His other songs selections, like Kris Kristofferson‘s “Help Me Make It Through the Night,” are excellent too. The Willie Way may not quite match The Words Don’t Fit the Picture (it trails off a bit at the end), but it’s still among Willie’s best albums from before his commercial breakthrough a few years on in the mid-1970s. 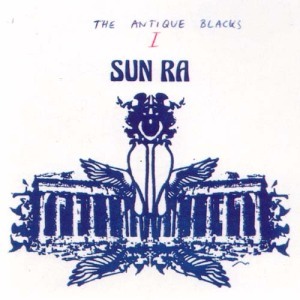 The Antique Blacks fits on the continuum of albums Sun Ra made in the 1970s with electric instrumentation and fusion-influenced stylings, like “The Night of the Purple Moon” and The Great Lost Sun Ra Albums: Cymbals / Crystal Spears from earlier in the decade and Lanquidity and Sleeping Beauty later on. An unknown electric guitarist (possibly a young Dale Williams or someone named “Sly”) armed with a wah pedal lays down some fervid licks much like what Pete Cosey was doing with Miles Davis around the same time period, though without the same nuance as Cosey. John Gilmore is of course great on sax. Many songs, like “There is Change in the Air,” feature free-form improvisations from the whole group and solos interspersed with spoken word passages where Sun Ra recites cryptic and confrontational poetry thick with references to afro-consciousness and socio-political issues and deeply imbued with biblical and cosmic overtones. Other tracks feature some nice group chants. This is a good disc, even though there are more impressive ones from the era. The highlights are a choice reading of “Space Is the Place” and some noisy keyboard soloing — comparable to that of Concert for the Comet Kohoutek — on “Would I for All That Were.” Ra’s spoken word readings are noteworthy too. While people who lived in close proximity to Ra probably knew full well that he could rant with the best of them, as he regularly distributed leaflets and preached on street corners about various topics of intergalactic significance (some books like The Wisdom of Sun Ra: Sun Ra’s Polemical Broadsheets and Streetcorner Leaflets have posthumously documented those activities), this album is one of the few times that aspect of Sun Ra’s life directly manifested itself in his recordings. Neil Young’s career reached its peak around the early part of the 1970s. He has kept on recording and performing long past that time of course. In his later years it would seem that it became more of a challenge for him to maintain a necessary level of interest in his music. That’s nothing new really. Most rock stars of the 1960s that kept on going faced the same challenges–Bob Dylan comes to mind immediately. Young faced the challenge in his later years by jumping between styles. In the 1980s, this meant a lot of albums that flirted with various genre experiments, from krautrock (Trans) to vintage 50s rock-n-roll (Everybody’s Rockin’) to contemporary country (Old Ways) to modern hard rock (Landing on Water) to blues/R&B rock (This Note’s for You). Still later, into the 2000s, he kept jumping between different styles, sometimes at album length but more often within the space of a single album. While that kind of approach may have helped Young maintain an interest in his music (just like how Bob Dylan amuses himself by radically reworking his old songs in his late-career concerts), it doesn’t always translate into great music. Now, it does help. It just doesn’t always produce something that reaches the heights of Young’s best work. It may elevate Young’s own interest enough to keep him plugging along, but it isn’t always conducive to a burst of inspiration that produces profoundly memorable music. So listeners of Young’s late career material should expect music that is sturdy and enjoyable, but rarely amazing. But that’s life. Artists can’t always give that much of themselves to their music over an entire lifetime. With music, listeners need to find smaller and more narrowly-defined pleasures in a particular artist’s music to follow along over the long term. One other thing that Young has done in his later years is an ongoing Neil Young Archives project (Vol. 1 (1963–1972) being the first part), where Young goes back and digs out and presents archival recordings. While this may seem like something only for his most dedicated fans–and that’s true in the most direct sense–it also offers a chance for live recordings from his most vital period of his career to finally see release. If and when the performances and songs are good, there is the chance that the music can appeal to more than completist fans. Live rock records have an awkward history. For some rock groups, live recordings simply reproduce studio efforts, with sometimes sloppier performances, reduced recording fidelity, and added crowd noise. Those kinds of records don’t offer a whole lot. But other groups do things in concert that can’t be captured in a studio recording. Groups that improvise can offer vast variations on the same material over the course of different live performances in a way that is unique from any single studio version. Also, sometimes live recordings can offer a chance to hear new (if pre-planned) arrangements of familiar material, like a solo acoustic version of a song that was recorded with a full electric band on the issued studio version. 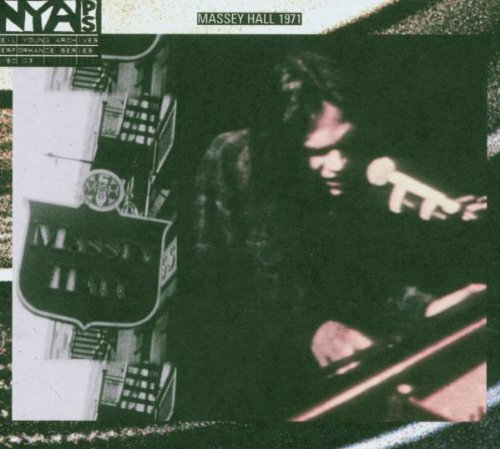 Live at Massey Hall 1971 was released as part of work on the Neil Young Archives project. It’s an excellent record. It captures Young just after he released his amazing After the Gold Rush album (probably his very best) and just before the release his most commercially popular album, Harvest. He is featured in a solo acoustic setting. This allows him to present new arrangements and new contexts for what are really some of his best songs. Young is at the peak of his powers. Many of the songs he previews from Harvest sound almost superior here free from studio embellishments. While no, this isn’t the place to start with Neil Young, it is a very important release for admirers of his music and a worthy collection of fresh live renditions of some amazing songs that capture the confused sensations of hope, fear, wonder and longing brought on by what seemed like new found freedoms and the paralyzing responsibility of figuring out what to do with it. Keith’s disfigured, amplified vision is just so incisive and insightful here that it gets me every time. No, this isn’t a perfect album. But I love it. 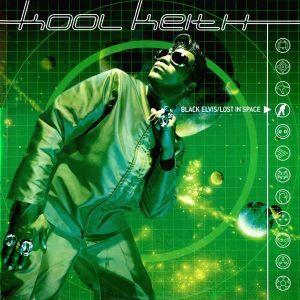 I wish more people, including Keith himself, would step up and try to make more hip-hop this daring. Outside of a few acts like Antipop Consortium, Sole, cLOUDDEAD, MF Doom (and aliases like King Geedorah), few have made the effort. Although the opener “Perth” is okay, this quickly devolves into very pretentious music from a small-town boy trying to approximate what he thinks sophisticated pop music should sound like. Unfortunately, he ends up with something a lot like the worst of late 1970s/early 80s pop radio drivel. 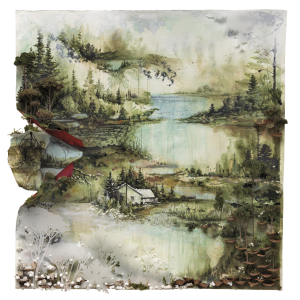 If there has been a trend lately of musical anthropologists revisiting the 70s/80s pop era, like Ariel Pink’s Haunted Graffiti or Thundercat, then Bon Iver seems to be one who did the least research and drew the least interesting insights. Mid-Sixties music from Texas, coming from the likes of The 13th Floor Elevators and The Red Crayola, took remarkably fresh looks at modern rock and roll. 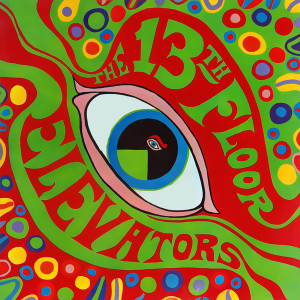 The 13th Floor Elevators were probably the most psychedelic band of the era. Their garage-oriented acid rock exploded with desperate vigor. “You’re Gonna Miss Me” later affirmed its classic status upon inclusion in the legendary Nuggets compilation, but that song merely flanks a much bigger musical explosion. The liner notes (some of the coolest you’ll find with any rock album) talk about music via a program of chemically deranging structures of the senses in a “quest for pure sanity.” Relating all knowledge simultaneously will help mankind deal with “life in its entirety.” The suggested tool seems to be LSD. This album is a great example of the proper way to use drums in rock and roll. Simply laying out a beat straight on the top or bottom won’t work. Drummers are not substitutes for metronomes. Everyone in a rock and roll band should be responsible for the rhythm, with the bass (or its equivalent) as the signpost telling where the rhythm is at any moment. The drums cannot impose anything on the band without ruining the music; they must be an integral part of the music. The 13th Floor Elevators’ philosophy of recognizing reactions with “perfect cross-reference” makes the drums an essential part of their agenda. It isn’t about ability really. There is some exciting percussion here, even though the record–the CD reissue at least–is too hazy to make out everything the rhythm section did. Singer Roky Erickson (b. Roger Kynard Erickson) had a manic energy unlike any other known human being. His life story a few years later involved commitment to a mental institution–when those were still scary places. Jug player Tommy Hall added one of the most distinctive elements of The 13th Floor Elevators’ sound with his otherworldly stutters and pops. 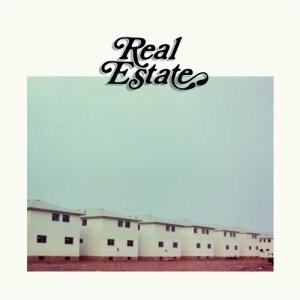 Hall and Erickson’s contributions to amazing songs like “Fire Engine,” “Splash 1” and “Reverberation” are unique, but the vision of the album has held up thanks to the presence of strong, varied songs from beginning to end. A bunch of crazed lunatics? Partly. But only in a good way. The 13th Floor Elevators definitely had a complex and coherent purpose for their extreme energy. 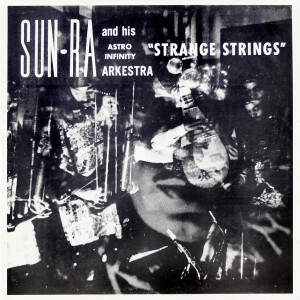 Strange Strings is among the weirdest entries in the Sun Ra catalog. Biographer John Szwed recounted that Sun Ra gave his musicians recording this some Asian instruments they had never played, a zither-like instrument, and a piece of sheet metal, telling them “You’re playing from ignorance–it’s an exercise in ignorance. We’re going to play what you don’t know and what you don’t know is huge.” You do have to give Ra some credit not only for making this music and recording it, but releasing it too. It feels a bit like the reductio ad absurdum of everything underlying the concept of “free jazz”. In some ways, this record would sound exactly the same if the instruments were given over to a group of small children, monkeys, tax attorneys, ballerinas and bus drivers, who played when Sun Ra pointed at them. That is both the amazing and frustrating thing about this beast. Szwed summed it up quite rightly saying, “It can’t hold your attention for 40 minutes but you know you’re hearing something that nobody else would try to do.” This does have some great moments, if you pay attention, but you really have to work to get at them. Though you can get the overall effect of Strange Strings a bit more acutely from, say, a John Cage piece.